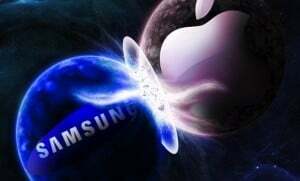 Apple appealed a lawsuit against Samsung in Japan about infringing a patent for synchronizing music an videos on Galaxy devices. They lost the appeal also, adding another win in Samsung’s portfolio. Apple already lost the trial at the Intellectual Property High Court in Tokyo, in August. The court said that Samsung didn’t infringe Apple’s syncing patent. This comes after Apple was granted a win earlier this month, also in Japan. This is not even close to be the first dispute between the 2 tech giants, but merely only one of the many lawsuits that the two companies filed against each other. There will probably be other court decision coming soon, and both companies will probably record wins and loses, this appearing to be a never-ending ‘ friendship’.